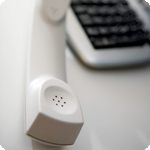 Most business can benefit from accepting payments via phone or fax. Many processors will overcharge for this service. We provide the solutions that will keep prices low and security high. Our years of experience has shown that most consumers will trust a business who accepts all modern forms of payment. With this trust comes repeat businesses. This has become a reality for mail order business, service businesses; from medical practices to home maintenance, and charity organizations. Although the bulk of phone and fax orders have originated from certain types of business models, to be successful in today’s market requires that the majority of businesses accept multiple forms of payment, including the ability to process credit cards when the card is not present. VeriFone Credit Card Terminals FREE Placement Program!